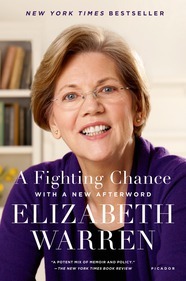 Today we wish a very special #BookBday to Senator Elizabeth Warren's memoir, A FIGHTING CHANCE. A most unlikely political star, Warren's introduction to government came when she was asked to go to Washington DC to help advise Congress on rewriting the bankruptcy laws. She fought for better bankruptcy laws for ten years and lost. 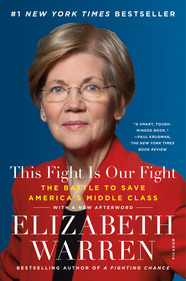 She tried to hold the federal government accountable during the financial crisis but became a target of the big banks. She came up with the idea for a new agency designed to protect consumers from predatory bankers and was denied the opportunity to run it. Then finally, at age 62, she decided to run for elective office and won the most competitive—and watched—Senate race in the country. And much, much more still to come!